I need health care, but I can’t afford it. Is there a program to help me? Medicaid provides health insurance for people who can’t afford it. If you are under 65 years old, you could qualify for Medicaid if your household income is less than 138% of the Federal Poverty Level (FPL). As of 2015, that’s up to about $2,742 monthly for a family of four. These numbers usually go up a little from year to year. See Federal Poverty Guidelines. You may qualify for financial help to buy a private health plan through Maryland Health Connection. Or, you may fall into a special category and qualify for Medicaid – apply at your local Department of Social Services office to find out. If your income is up to 200% of the FPL, your children can qualify for Medicaid. That’s up to about $3,975 monthly for a family of four. If your income is higher, you might qualify for the Maryland Children’s Health Program (MCHP) Premium. MCHP Premium covers children in household incomes up to 300% of the FPL, or $5,962 monthly for a family of four. I am pregnant. Could I qualify? Pregnant women with household income up to 250% of the FPL can qualify for Medicaid. That’s up to about $4,968 monthly for a family of four. I aged out of foster care. Could I qualify? Young adults up to age 26 who aged out of foster care in Maryland qualify for Medicaid, no matter what their income is. I get Temporary Cash Assistance. Could I qualify? If you get Temporary Cash Assistance (TCA), you can qualify for Medicaid. Even if you lose your Temporary Cash Assistance – you may qualify for an extension of Medicaid benefits for 6 to 12 months. You must be screened to see if you qualify for Medicaid for another reason. I get Supplemental Security Income (SSI). Could I qualify? If you get Supplemental Security Income (SSI), then you are automatically eligible for Medicaid. I have a disability. Could I qualify? If you have a disability or are blind, then you could qualify for Medicaid if your income and resources are very low. Your income must be below $350 monthly, and you must have less than $2,000 in resources. If your income is higher, but you have high medical expenses, you could still qualify. I am 65 or over. Could I qualify? If you are 65 or over, then you could qualify for Medicaid if your income and resources are very low. Your income must be below $350 monthly, and you must have less than $2,000 in resources. If your income is higher, but you have high medical expenses, you could still qualify. I am in a nursing home. Could I qualify? Medicaid can pay for someone in a nursing home. Medicaid has different rules for nursing home residents. Contact your local Department of Social Services office to apply for Medicaid Long Term Care. I receive Medicare. Could I qualify? If you have Medicare, you could qualify for Medicaid if your income is low enough. There are also Medicaid programs to help you pay your health care costs. They can pay for your Medicare premiums and co-pays, if you have low income and assets. Qualified Medicare Beneficiary, or QMB, pays for your premiums and co-pays if your income is below 100% of the FPL, or $993 monthly for a single person. Specified Low Income Medicare Beneficiary, or SLMB, pays for your premiums and co-pays, if your income is below 135% of the FPL, or $1331 monthly for a single person. When can I enroll in Medicaid? The Medicaid enrollment period is year-round. There are many ways to apply. Apply by phone at 1-855-642-8572. Apply at your local Social Services office or County Health Department. Get in-person help to apply. A Connector organization can help you. You can use this map to find your Connector organization. How quickly could I find out if I am eligible? If you are eligible based on your income, you may be able to find out immediately. Otherwise, you should find out within 30-60 days. What if I am denied Medicaid? If you are denied Medicaid, you have a right to an appeal. If you are cut off from Medicaid, and you want to keep getting benefits while you wait for an appeal hearing, you must ask for the appeal within 10 days. In general, you have 90 days to file an appeal. You may be able to get legal help for your hearing or to solve Medicaid problems. For help with Medicaid, contact the Maryland Legal Aid office serving your county. This article provides general information, not specific legal advice. We make every effort to keep this information current. However, the law sometimes changes. If you have particular legal questions, contact a lawyer. 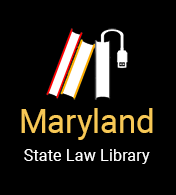 You may be eligible for free legal services through Maryland Legal Aid or a volunteer lawyer program.